Coming soon to Sugar Land, TX Where life is sweet! Coffee has become one of the most favored beverages in the world. However, with every cup of coffee that you order from your local dessert bar in Sugar Land, Texas comes a glass of insatiable questions. Aside from alcohol and cannabis, coffee is probably one of the most misunderstood vices of people today, so we are sharing a few key facts about your favorite cup of hot or iced brew below. That afternoon cup that you usually order at a coffee bar in Texas does not cause rampant insomnia. On the contrary, the caffeine that you consume after lunch is processed through your liver fairly quickly. According to experts, your body flushes out roughly seventy-five percent of your caffeine consumption within four to seven hours. So, if you’re scared to drink that cup at two in the afternoon, you shouldn’t be. Coffee actually does not make you feel stressed out. 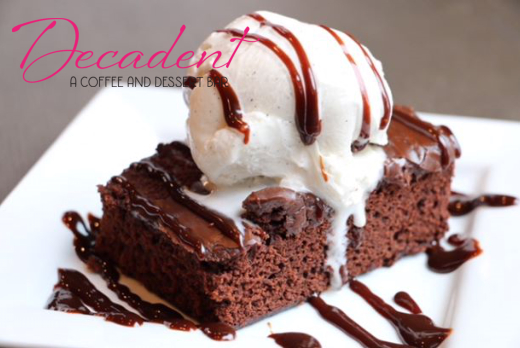 As a coffee and dessert bar in Texas that offers the best quality of desserts at an affordable price, trust us when we say that drinking your favorite blend of coffee does not directly affect your stress levels nor lead to anxiety. Coffee is a natural stimulant, so it is supposed to have a relaxing effect. It is not responsible for triggering stress, but it does block the production of adenosine in your body. Coffee does not, in any way, cause cancer. One of the common misconceptions about coffee is that habitually drinking it can cause cancer. But let us at Decadent Dessert Bar tell you — it does not. Several studies have already shown that no significant connection exists between consumption of coffee on a regular basis and getting cancer. As a matter of fact, some scholars have even found that daily coffee drinkers have a lower risk of cancer since the drink contains antioxidants which can ward off cancer. Coffee also helps reverse the effects of aging. Eager to know more about your favorite brew? Stay tuned for our next blog. This entry was posted in Coffee and tagged Blended Coffee, Coffee Bar, Refreshing Drinks. Bookmark the permalink. If you have inquiries, comments, and orders, don’t hesitate to contact us. Fall in love with the sweetness of life. Come and visit us.